The Winter of 1981/1982 produced heavy snow falls. 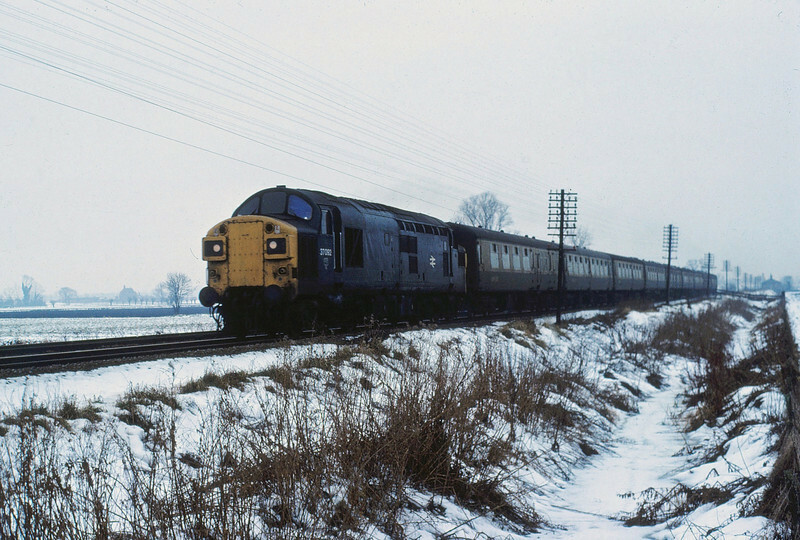 37092 heads across the Fens between Cambridge and Waterbeach on a Liverpool Street to Kings Lynn working in February 1982. Milton Crossing house can be seen in the distance.